Wow. Never thought I’d see this! 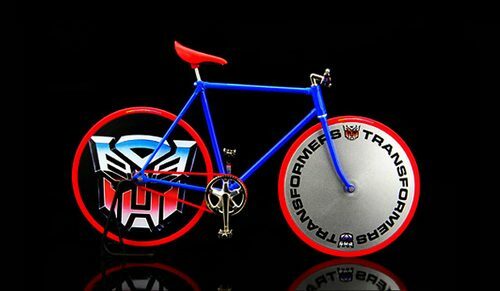 Pedal ID has created a limited edition toy of their track bike kits with Transformers iconography all over it. What I fail to see here is Megan Fox running in slow motion though. Come on guys! Get it right! That’s what is bringing people into the theater in the first place. Slow motion boobies and explosions!